May 2017 – Sig Nordal, Jr.
One only has to look at an electoral map from the 2016 presidential contest to get the feeling that America’s cities are at odds with the rest of the country. Kim Phillips-Fein’s excellent new book, Fear City: New York’s Fiscal Crisis and the Rise of Austerity Politics, vividly depicts a period when New York was seen — not always positively — as an archetypal example of urban liberalism. Much of the emergency that defined New York’s mid-1970s character revolved around debt, accounting practices, and municipal bonds, but in Phillips-Fein’s hands it is not only exciting but extremely relevant, too. In 1975, the city teetered on the brink of financial collapse, with no one eager to come to its rescue. (The New York Daily News‘s legendary headline “Ford to City: Drop Dead” succinctly captured the position of the executive branch.) Fear City begins by laying out how Gotham had reached this perilous point. New York, more than any other American city, Phillips-Fein writes, had “an unusually expansive and generous local welfare state”; in addition to a sprawling network of public schools, public libraries, and playgrounds, its activist public sector had helped create two dozen municipal hospitals, ample public housing, day care centers for low-income families, drug-treatment centers, an inexpensive subway system, free entry to world-class museums, a network of tuition-free colleges, and more. That future arrived in 1975. Phillips-Fein, a professor at New York University’s Gallatin School of Individualized Study and the author of 2009’s Invisible Hands: The Businessmen’s Crusade Against the New Deal, describes the city’s nosedive in a fast-paced, gripping account. The first brush with bankruptcy came in April, but Governor Hugh Carey’s creation of the Municipal Assistance Corporation (MAC), which gave New York emergency state aid to repay creditors in exchange for control of the city’s financial management, pulled New York from the brink. The city was so deep in the red, however, that it was only a temporary fix, and by October New York was again unable to meet its debt obligations. Only the federal government, it seemed, could bail the city out this time, but President Ford, who blamed New York for its problems, was unmoved. Secretary of the Treasury William Simon, Chairman of the Council of Economic Advisers Alan Greenspan, and Ford’s chief of staff, Donald Rumsfeld, together urged him to let the city default, believing that bankruptcy would not only teach New York a lesson but would send a strong warning to other cities about the perils of government spending. Politicians and bankers who favored helping the city worried that default would send a different kind of message — that the symbolism of a bankrupt New York City would set off a nationwide financial panic. New York’s black residents would be among those to suffer the most when the city was ultimately saved from bankruptcy for the second time. This time, Governor Carey pushed through a law allowing the city to pay only interest, not principal, to creditors for one year. The city’s finances were put under the control of a corporate-leaning Emergency Financial Control Board. When the state legislature also approved large tax hikes, Ford at last committed to a financial aid package for the city, claiming to be satisfied that the city and state had committed to a future of fiscal austerity. If there were just one Chinese in the world, he could be the lonely sage contemplating life and nature whom we come across on the misty mountains of Chinese scrolls. If there were two Chinese in the world, a man and a woman, lo, the family system is born. And if there were three Chinese, they would form a tight-knit, hierarchically organized bureaucracy. But how many Chinese would there have to be to generate a religion? It could be just one—that Daoist sage in the mountains—but in reality it takes a village, according to Ian Johnson in his wonderful new book, The Souls of China. Chinese religion, Johnson writes, had little to do with adherence to a particular faith. The law professors Carol S. Steiker and Jordan M. Steiker have written a revealing book about the history of the death penalty in the US and, in particular, the continued difficulties the Supreme Court has had in attempting to regulate capital punishment so that it conforms to constitutional standards. If I have a criticism of their otherwise trenchant account, it is of their failure to give more than passing attention to the moral outrage that provides much of the emotional support for the death penalty—outrage felt not only by the family and friends of a murder victim, but also by the many empathetic members of the public who, having learned the brutal facts of the murder, feel strongly that the murderer has forfeited his own right to live. When I was younger, I often questioned why people did not treat me nicely. I would doubt why they did not communicate with me, even though I was such an interesting and well-versed person. Probably, I thought, because they are not at my level of education and are just interested in simple things. Later on, I wondered why men aren’t courting me or showing signs of attention, even though I always acted as a very nice and loving person and tried to always look good. Later, in business, I was also perplexed why clients were not choosing me among others. That is even though I always communicated professionally and did my best to understand their needs. In situations like these, I was tempted to think that the people around me were wrong, that they did not understand the depth of my nature, the value of my presence or the accuracy of my offers. Though, while such thoughts helped me to feel better, they did not make the people around me nicer. Until one day, I realized the secret which fixed all the “wrong” people and made them very “right”. I am responsible for everything that is happening in my life. I am responsible for creating the way other people treat me. And I came to realize that the way I acted in the past, even though it seemed right for me, was not a “winning strategy”. It was simply not the right way! Here are some of the things that helped me learn how to deal with people. I was always smart and the people around me just didn’t have the opportunity to show they were actually smart, too. The lesson for me was to learn how to be “unsmart” or “foolish”. I learned to show my vulnerability, ask for advice and reach out for help and support as often as I could. Being able to be smart and unsmart at the same time is such a beautiful combination. It allows me to pour my knowledge when others need it or to empty myself for receiving new knowledge when I need it. What was I doing wrong by being loving? What could be better and more desired by men than that? Why were men still treating me bad? For sure, something was wrong with them. At least, that’s what I thought to myself. Mistake! Intelligence is a lot like love. If you are always full of it, then the people around you wouldn’t have a chance to add to it and this makes them very confused. The real winning strategy here is to be attentive whether the love you give is accepted and well perceived. If you come to the point when you give so much out of your full heart but you receive no response, then it’s a clear indicator to switch off your flow. For example, every time you think of sending another love message to your partner, send it to yourself and show love to yourself. Every time you want to suggest something fun and entertaining, suggest it to yourself and do this exclusively for yourself. Do not be afraid to lose your partners. It is just not possible to not love a person who loves and respects herself/himself. The quality of your partners will go up. Start with making small experiments with this new strategy. Building up this balance between loving your partner and loving yourself is a jewel addition that can promote self-development. I guarantee you will love the effects. Why would people not want to work with me? Again, it is not about me being cool, but about how they feel next to me. I realized my strong stand made them feel threatened, low and tightened. I also realized that professional business is not only about the uniqueness and greatness of my product, but about whether people feel comfortable, appreciated, respected, fulfilled and honored next to me. I learned that maximizing professionalism and maximizing empathy and care go hand in hand. When someone is too aggressive – I know they want my modesty. 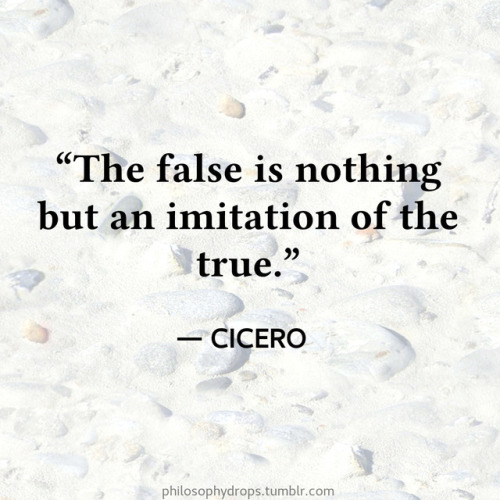 When someone is too manipulative – I know they need my sincerity. If someone is too smart – I know they ask for my appreciation. When someone is too stupid – I know they need my faith. If someone is too untidy – I know they are thirsty for my inspiration. If someone is too depressed – I know they want my naivety. When someone is too negative – I know they need my love. When someone is too egoistic – I know they ask for my vulnerability. I came to realize that those people who seemed nasty or “bad” to me came to my life as teachers. They taught me things I once considered wrong or inappropriate. However, looking more deeply into the issue, I found some brilliant lessons that helped me learn to love myself as well as others. Those lessons helped me give freedom to others and to set the rules, to know how to let go and to appreciate what I have. I also learned to keep my mind flexible and open. I understood that when I got irritated about someone, that was exactly the opportunity for me to identify and correct my rigid beliefs. Enlightening these “gray” areas of my mind helped me to gain more clarity about all the situations of my life and to become much happier and reasonable. When life teaches you through other people, do your best to understand the lessons it presents and work on achieving that perfect balance in your personality. Thank these people for making you more aware, skilled, and happy. People are not bad. All people are, in fact, good. Each of us is born from a divine sparkle and everyone has some goodness. You just have to know how to deal with people and how to bring out the best in them. The post How To Deal With People: Little-Known Secrets To Make People Like You appeared first on Dumb Little Man. José Maria de Eça de Queirós’s numerous fictions have a central place in Portuguese and Brazilian literature, but they don’t seem much read elsewhere—at least not these days. It’s tempting to single out the fine quality of description, brilliant dialogue, rich cast of secondary characters, and unusual irony, which combines biting misanthropy with a broad and flexible attention to human pain. But another aspect of Eça’s writing has to be mentioned: how time unfolds with a sublime, almost arboreal leisure. 60 White is a residential project completed by Ula Bochinska of Bostudio Architecture. 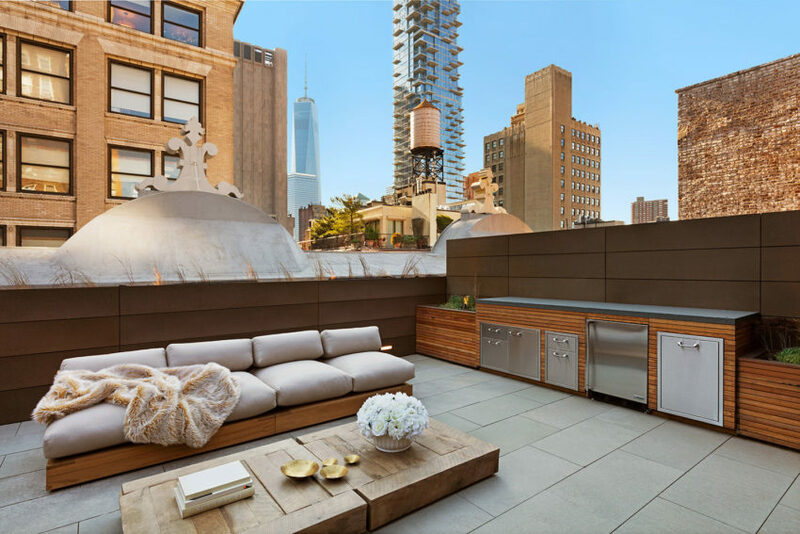 The complex, which is host to eight luxury residential lofts, is located in the heart of TriBeCa, in New York City, USA. The homes are intended to not just be able to boast of the height of design and good taste, but also of their sustainability and energy efficiency. An approximate 80% of the materials used were.. The post 60 White Residential Project Completed by Ula Bochinska of Bostudio Architecture appeared first on HomeDSGN. 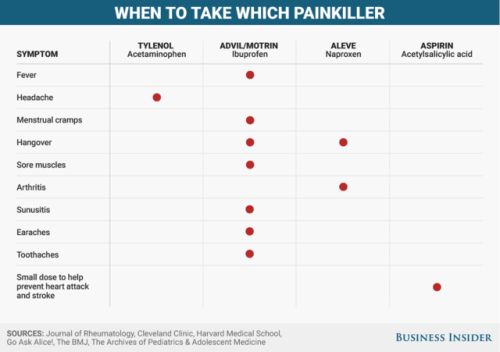 One chart shows how Advil, Tylenol, and Aspirin stack up — and there’s a clear winner. Alaska Peninsula and Becharof National Wildlife Refuges are home to towering mountains, active volcanoes, broad valleys, fjords, tundra and glacially formed lakes, which provide habitat for more than 260 species of resident and migratory wildlife. Portions of the peninsula contain some of the highest densities of brown bear in Alaska that feed on the five different species of Pacific salmon. Pictured here is the 4,835-foot tall Mt. 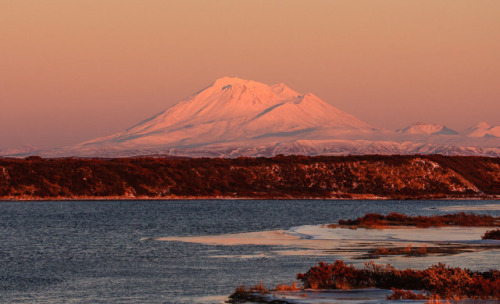 Peulik, an active volcano that is cone-shaped and capped with snow even in the summer. Photo courtesy of Bob Dreeszen. It was the longest night of my life — that night while I was trying to recover from injury. I lay in the hospital bed, incapacitated, motionless and sweating profusely. It was night 5 after a terrible road cycling accident rendered me a quadriplegic. My mind was jumbled with orbiting thoughts of despair, anxiety, sadness and anger. I knew my life was at a crossroads. Which way was I going to go? Surrender and give in, or fight the good fight and give it everything I had? Here’s how I was able to recover from injury. Nobody chooses to suffer a catastrophic injury. Nobody chooses to be afflicted with some terrible illness or disease. But, we can choose how we respond to such unexpected events. You can make the choice to aspire, persevere and prevail. Do not look at the rearview mirror and second-guess your choice or wonder if you should turn around. Make the choice to fight the good fight and do whatever it takes for as long as it takes. Without choice, there is no way forward. You are simply going in circles, going around on a treadmill. You can choose but choice without action will leave you in the same place — stalled. It will not be easy. Whatever may be ailing you will require action on your part. You have to want it — whatever that choice is — and be willing to push through the forces that will try to hold you back. Be unwavering and commit to working on it every day with faith that you’ll achieve success after all your effort. 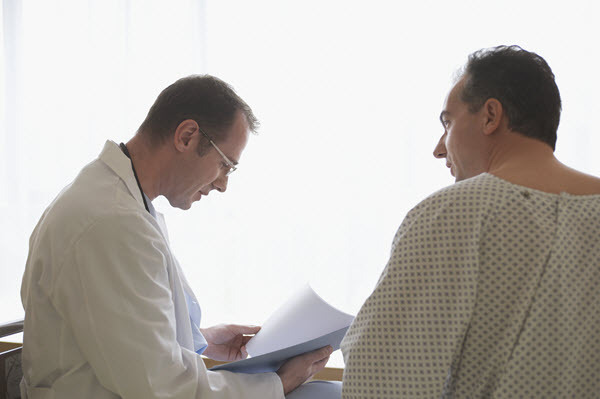 I remember in those early days post injury, I had a brief conversation with my physician. He said to me, “Jamie, get independent.” Those are two simple yet incredibly powerful words: get independent. For the last decade since the injury, those words have guided every step of my recovery. I made it a point to do everything in my power not to be enabled by anyone or anything. I made it my focus to attempt to do things on my own, as frustrating and painstakingly slow as it was. People always wanted to offer help but I would just thank them and say that I need to figure out how to do things on my own. I was maniacal in those initial months post-injury to do everything possible with medical interventions of one kind or another. There were many times I would do 6, 10, sometimes 12 appointments a week. This included physical and occupational therapy, pool therapy, acupuncture, reflexology, massage and so much more. I was under the wrong notion that the bulk of recovery occurs in the first 6 months post-injury and tapers after 1-2 years. I felt this tremendous sense of urgency and didn’t allow myself to rest. My occupational therapist had said to me early on that there were 4 things I need to remember if I want to recover from injury: plan, prepare, prioritize and pace myself. The most important of them was pacing. I didn’t listen, at least not initially. My body was screaming at me to rest, especially in the first year when my body was still in a state of spinal shock. My failure to pace and rest when needed caused a serious “second” crash. I learned a very hard lesson. Going through a trauma of this magnitude turned my life upside down. Everything was shattered from a professional, familial, marital, relational, financial, recreational and spiritual perspective. My life crumbled. I thought I had the mental fortitude to deal with everything on my plate but quickly learned after the “second” crash that I desperately need mental health counseling. It took me a year post-injury before I finally did, which, in retrospect, was a monumental mistake. It nearly cost me my life. I could have easily committed suicide. Once I did engage with a skilled therapist, I continued with her for the next 5 years. Initially reluctant and impatient, I slowly adjusted to the process and I can say that I have been able to successfully process feelings and emotions deep down in my psyche. I used to think this was a sign of weakness and it’s not. In fact, it’s a sign of strength, a tacit acknowledgment that it’s best not to go through the process alone. From the early days when I was in the hospital, I remember just trying to get my forefinger to touch my thumb. Seems pretty pedestrian, except when you are neurologically impaired. My level of injury from the spinal cord injury was C7, which meant that the paralysis started at my mid abdomen and extended all the way down to my toes. It affected all of my fingers. Working tirelessly just to get the two to touch took weeks. Frustratingly slow, but, eventually, I was able to do it. That little benign, innocuous goal became a little victory. This put in motion a parade of little goals which turned into little victories. Over time, the goals and victories became additive and cumulative that they grew into bigger goals and victories. The goals can be of any shape and size you want, but start off modestly. Keep working on them until you can check the boxes and move on to your next set of goals. Think ahead of the goals you want to set for yourself and do whatever it takes to accomplish them. The victories will come and they will give you the confidence to take on your next targets. In time, you will be amazed at what you are able to do. I had heard of the words mindfulness and visualization but didn’t understand what they meant or what they could do for me. Through friends and books, I gained a better understanding of them, especially visualization. I would often visualize, for example, this beam of light emanating from the heavens, shining brightly and aimed at the lesion in my central cord. I pictured it like a laser beam, dissipating the damage like the morning sun burning off morning clouds. A decade later, I still hold on to this vision, particularly in my quiet moments or when I’m stretching after exercise. I have utilized this visualization process, coupled with mindfulness, to make internal movies of things I want to accomplish. I think of myself as a moviemaker, the author, scriptwriter, editor, and publisher of my own movies. Back then, I would visualize what accomplishing those goals would look like, choreograph them in great detail and play them over and over in my mind until the movie could play itself without any conscious prompting on my part. It has been instrumental in allowing me to make the extraordinary recovery I have achieved since 2007. I got dealt a very bad hand in this injury and I knew I wasn’t alone. Most people are either dealing with something themselves or know someone who is. I don’t have a monopoly on misery. I am not a victim and don’t feel sorry for myself that something bad happened. This doesn’t mean there aren’t many more good hands to play. Nobody ever promised life would be fair and, for most of us, that has been the case. It would be easy to think about all the things I can’t do anymore. So many things used to bring me joy, fulfillment, and identity. I have struggled for years trying to figure out my new purpose. Why am I still here? What am I supposed to do? I understand now what she meant and I’m dedicating myself to doing something I did very little of in my early and mid-adult years. That is to give back. I remember many years ago when I was seeing a mental health therapist unrelated to this injury. She asked me a number of deeply personal questions. My answers kept skirting around her questions and she finally quipped, “Jamie, you’re like a greased pig. I can’t seem to nudge you to speak from your heart.” She then asked me, “Do you know what it’s like to be vulnerable?” I didn’t even know what the word meant. It could be that or I had built up such an external armor that wouldn’t allow myself to feel such way. When faced with any kind of trauma, it can be easy to want to hide from others. Being infirmed can be shameful and embarrassing. It can even make us to want to be reclusive. I believe that if we can shed that veneer and allow ourselves to be real, raw, authentic and even vulnerable, we can draw people closer to us. Being engaged and connected with others can be as important as taking medicines, doing therapies or following doctors’ orders. After I suffered that terrible “second” crash, I became very fearful. I was very afraid of doing too much that might, in any way, set myself back and negate all the hard-fought progress I had made. I was cautious about everything – working, driving and exercising. Fear is helpful up to a point. It can guard us against doing things that could be too risky or harmful. Beyond that, fear can also become an impediment or a roadblock that can get in the way of making meaningful progress. After 3 years of intensive physical, occupational, and pool therapy, it was suggested that I join a gym and continue rehabbing on my own. I did join a club I belonged to years before and got reacquainted with a friend who was also very knowledgeable about the weight room. He was so right. Fear was in the way of me making further progress in my recovery and his words helped removed that significant barrier. The work that Sam and I did together in the ensuing years changed everything about my recovery and helped defy the odds in spinal cord injury recovery. After several years, I have been able to ride a road bicycle and get on skis again – all without assistance or accommodation. I submit that incorporating these 10 methods can help you recover from injury and get your life back together. You just have to realize that it starts with choosing. 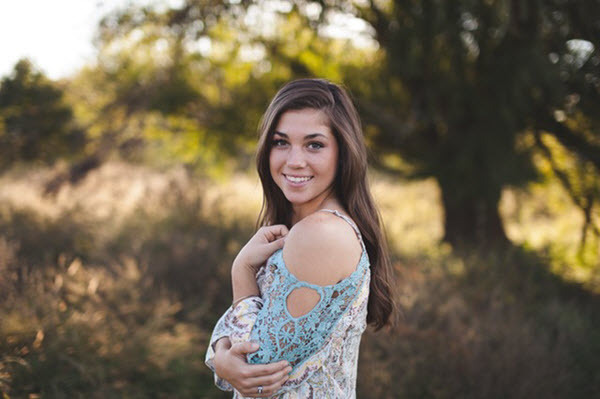 The post 10 Simple But Powerful Ways To Thrive After Traumatic Injury appeared first on Dumb Little Man.